The Chancellor of Sokoine University of Agriculture Hon. Joseph Sinde Warioba and University’s Council Chairperson Hon. Chief Justice (retired) Mohamed Chande Othman visited SACIDS earlier today. During their tour at the Molecular Biology Laboratory, Hon. Warioba and Hon. 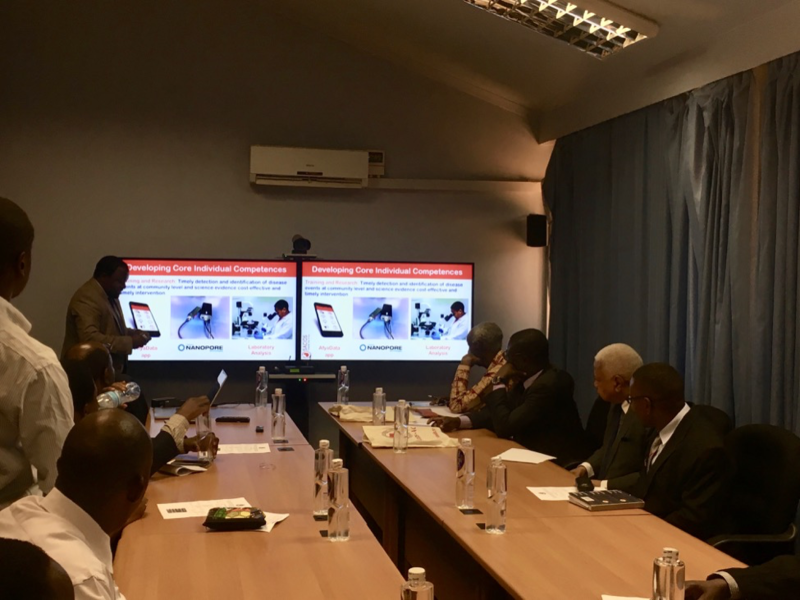 Chande were briefed by the Centre leader Prof. Gerald Misinzo about the Centre’s activities in reducing burden of infectious diseases to the unprivileged communities in Africa. During their 2-day visit, Hon. Warioba and Chande will meet University’s management and various College principals to learn more about various academic and research activities taking place in the university.